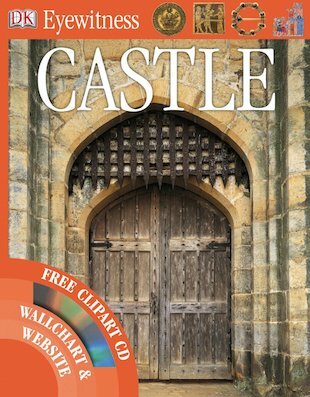 Want to know all about castles? Want a book that shows you and doesn’t just tell? Look no further! This image-rich Eyewitness book gives you the whole picture, providing all the facts – and hundreds of dazzling photos and illustrations too! Witness life in a medieval castle, with banquets and knights, sieges and festivities. Find out why round towers were better than square ones, how a castle was defended from attack, and where people and animals lived. With hundreds of vivid pictures and photos to show you what castle life was like, now you don’t just read about it… you get to SEE for yourself! Discover even more browsing the dedicated Eyewitness website and downloading amazing images from the clip-art CD. There’s even a giant wallchart to stick up!